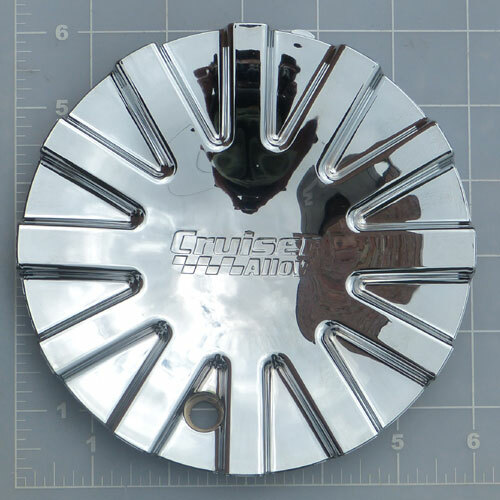 This cap fits all the FWD versions of the Cruiser Alloy 607C Swagger Chrome wheel. See EF-607CR for the RWD version. We carry the complete line of wheels from Cruiser Alloy Custom Wheels. Cruiser Alloy offers a wide array of styles for all types of vehicles. So if you have a truck, car, SUV or Crossover, Cruiser Alloy Custom Wheels has something for you. Today and every day, free shipping on all Cruiser Alloy Custom Wheels. Lugs and locks are included at no additional cost with the purchase of 4 Cruiser Alloy Custom Wheels. Free installation of Cruiser Alloy wheels for our local Charleston, SC customers who choose "Store Pick-up" during checkout. See store for details.